If you read this blog regularly, you know I am a huge proponent of juicing. I drink a green juice every morning because it provides micronutrients that go straight to the cells. 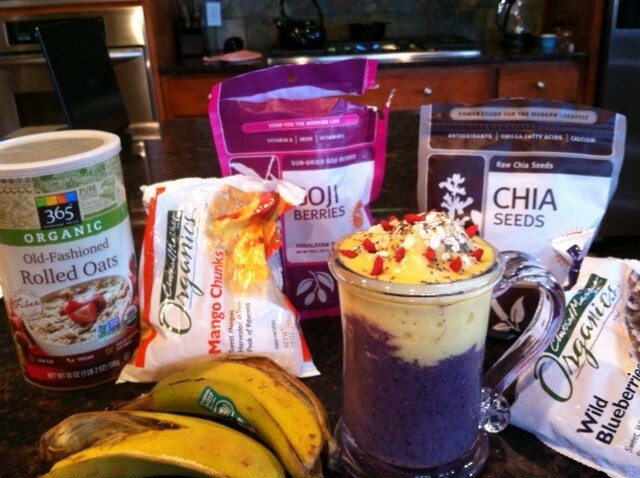 Recently, I have added in a smoothie as part of my daily ritual. It provides fiber, macronutrients, vitamins and it goes a long way to keeping me satiated and full of energy. 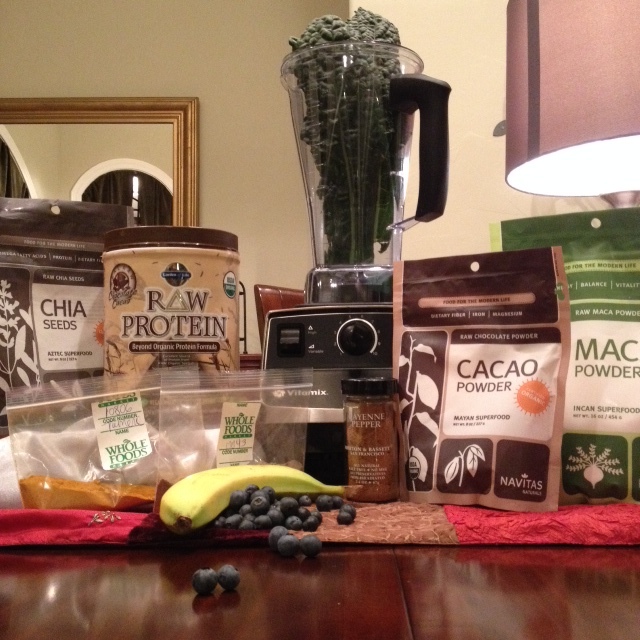 Here are some of the ingredients that I use regularly. As always, USE ORGANIC only or you will be ingesting lots of pesticides. It’s a snow day here in Austin (technically, an icy cold mess, but hey, no school). My 13 year old son made this delicious, double-decker concoction. He also took this photo. Yep, there’s not much to do when your steep driveway is iced over. Of course, there is the obvious, go down said driveway on a knee-board all morning, crash many times, then make a smoothie. I realized this smoothie had 3 of the 8 most nutrient dense foods (hemp seed – in this case hemp milk, chia seeds and berries) listed by Drew Canole; a juicing and health expert.